FHA home loans offer first-time homebuyers and people with bad credit an opportunity with affordable home financing and low FHA home loan rates. Millions of first-time homebuyers got started with an FHA home loan. These government home loans promote fair lending with flexible credit guidelines. First time home buyers like home financing with FHA because the loans only require a 3.5% down-payment and the interest rates are low. FHA home loans offer interest rate protection because borrowers who have FHA mortgages can refinance with a streamline. Streamline loans automate the loan process and enable FHA borrowers to refinance quickly and cost-effectively if interest rates drop. FHA home loans have helped several generations of Americans become homeowners because the underwriting and guidelines considered a broader profile for borrowers, rather than just a credit score like Fannie Mae and Freddie Mac were focused on. Home buying with a first time home buyer loan process can be difficult, but FHA offers new home loans that were specially designed for 1st time home buyers. Did you know that FHA has been the leader in first time home buyer loan programs for several generations? FHA loan requirements are easy to understand if you work with the right FHA lender. The FHA Home Loan Company has a team dedicated to FHA first time home buyer loans, so you don't have to worry. Our job is to help people understand the FHA guidelines so there are no surprises when they apply for an FHA mortgage. With the first time home buyers program, borrowers with less than perfect credit still have the opportunity to finance a home at an affordable interest rate. The first time home loan application volume continues to rise, so request a pre-approval letter and make sure that you work with a lender that you can trust to close your loan in a timely manner. 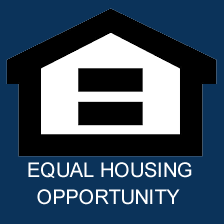 FHA commits to offering affordable home loans for first time home buyers. The FHA, or Federal Housing Administration, provides mortgage insurance on loans made by FHA-approved lenders. FHA insures these loans on single family and multi-family homes in the United States and its territories.